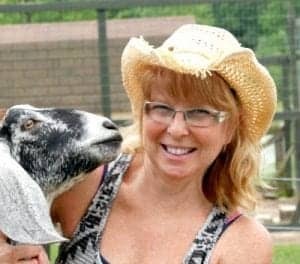 This is a guest post from one of my dearest blogging friends – Tracy from Simple Living Country Gal! When it comes to saving money nowhere is it easier (and more painless) to do than on your grocery budget. More often than not when I help families streamline their budgets they have more than enough allotted for food. They are usually shocked to find that with a few adjustments and tweaks they are able to drastically cut their monthly food bills. 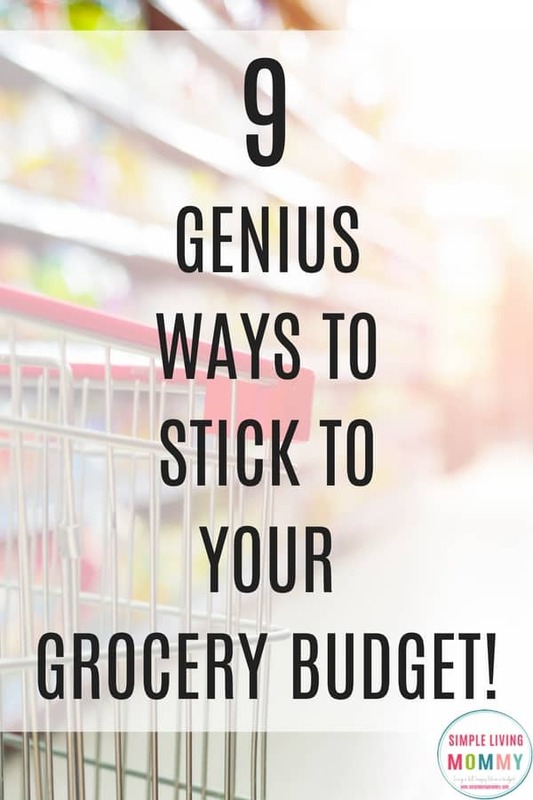 If you have never used a grocery budget, no worries. We are going to start at the beginning and get you all set up. Establishing a food budget is simple and pretty straightforward. Just like any budget the goal is easy. With that goal always in the back of your mind, sticking to a budget will be a bit easier to do. The more money you save the more cash you have to pay down debt. No debt? Wonderful! How about some extra money to fix up that spare room? Maybe a playroom for the kids? Or, maybe it’s time to upgrade the car. Wouldn’t it be great to have a nice chunk of change saved up for a down payment? All of these options are possible when you create a budget and stick to it. Why? Because it frees up money for other things. Important things. Step #1 Set your starting point. This step may just be the hardest on the list. To know where you need to stay for the month, you need to know where you are starting out. National averages mean little to us, we only care about how much money we actually have to spend. To do that we will need to look at your monthly finances. Now, don’t panic, we are going to do a little math here. Now your household budget will include everything for your family care. You will have to decide how much you have in this category that you can reasonably spend on food. Do not base this on what you have been spending so far. This is your new number. Your target goal. Get it written down and post it where you can see it. This is the number you will work to stay at (or under) every single month. Step 2 Break your monthly budget down. Now that you have a monthly goal to stick to, you will want to break that down by trip. If you shop weekly or monthly having a number that reflects how often you shop will make it easier to stick to. Step 3 Create a weekly or monthly menu. In order to stay on budget, you cannot afford to skip this step. This one tip alone has saved me and countless others thousands of dollars every single month. Having a game plan to follow for your meals will ensure you use up fresh produce before it goes bad, not to mention freezer items before they get lost in the black hole often found in most chest freezers. Create a menu that is based off of what you already have in your home. If you need an item jot it down on your shopping list now. We do not want to shop then make a menu, instead you will make your menu THEN shop. Buying food intentionally is the easiest way to save money. Step 4 Keep an accurate list. We are going to go old school on this one. I have tried list apps on my phone and they simply do not work, why? Because I am not the only one in my family. A grocery list needs to be accessible by everyone. If your kids eat the last of the peanut butter how will you know you are out if you are not a peanut butter eater yourself? Get a list on the refrigerator and enlist your family to help. Not sure they will chip in? Then let them know, if it is not on the list it may not get bought. That usually does the trick! Arm yourself with a thorough list and you will eliminate last minute trips to the store that can cost you big in impulse purchases. Step 4 Be wary of coupons. I am not a fan of coupons and I do hope that statement isn’t going to ruffle any feathers. I only encourage the use of coupons if used the right way. The money saving way. More often than not heavy coupon users make their shopping lists based on the coupons they have, rather than basing it on foods their family will actually eat. If you have a coupon for canned brussel sprouts, even if you are getting those cans for pennies if your family will not eat them you are in a sense wasting money rather than saving it. I instead suggest to make your list THEN go looking for coupons. If you do not find any, you can always use a shopping app on your phone for savings or purchase generic instead. The point is, there are always ways to save other than coupons for items you will not use. Step 5 Leftovers are your friend. Learn to love your leftovers! Really love them. Where else can you kill 2 (or 3) meals in one shot? Pick at least one day to plan a large family meal with 2-3 spin off meals that will cover the next few days. You don’t have to reheat what you made, you can change it up and make a brand-new meal out of it. Your family will be none the wiser! Tip: To get more life from your left overs, use glass containers over plastic. Your food will last longer and taste better. Label the day to use and store in your fridge. Don’t forget to adjust your menu if needed. If you do not think you will get to those leftovers due to a busy schedule coming up, label and freeze for a meal you can get heated up and on the table fast. I like to have a few of these babies in my freezer at all times. They are a big time saver! Step 6 Make sure you are getting the best price. Know your stores and which ones have the best prices. If you have been shopping for any amount of time you probably already know this answer. You may have a store that gives the best prices on produce and a store that has the best selection of meat. As long as those stores are within a reasonable distance I would definitely visit both. If the savings is less than the time and cost of driving then stay put. You really need to look at the big picture if you want to stay on budget. Step 7 Make it don’t buy it. You would be amazed at how much money you can save when you make rather than buy. Sure, you will need to stock up on baking items and supplies but after the initial cost you will have a money saving arsenal at your disposal. Let’s face it, convenience foods are expensive and how much time are they really saving? It only takes a few minutes to whip up a batch of pancakes from scratch rather than use a mix and it costs just a fraction. Tip: Too busy to bake? Do a power bake once a week or month. Make cookies for lunches, granola bars, even premade mixes. Freeze and store for use the entire month. If your kiddos pack lunches for school this tip can really save you big money. Baking all your snack foods for the kid’s lunches will save you a huge chunk of change. Once made, portion up in baggies so lunch making is even easier and quicker to. But, let’s not stop there. Spice mixes, salad dressing and dinner mixes are all great recipes to know and use. I have been making my own mixes for years and the time it takes to make a mix is really just seconds. And the taste is so much better when you do it yourself! I even have my boys making their own mixes now as well. The sky is the limit when you are in control of your own ingredients. Tip: Have a family member with a food allergy? Definitely put mix making on your to-do list. When you make things from scratch you ensure the ingredients are all something your family can eat and tolerate. No more surprise allergy attacks! Step 8 Reward ensures success. AKA cut back on restaurant meals. If you like to eat out, don’t worry I am not going to tell you can’t. I am, however, going to tell you to scale back. Rather than eating out weekly try going every other week. If you eat out several times a week cut that to once a week only. Your goal will be to eat out just one time a month. But take it slow. A budget is meant to be gratifying not painful. Make smaller changes so you adapt more easily. You may just thank me for it. When you only eat out sparingly your meal will be such a treat you will begin to really look forward to it. Rather than rushing out for a quick bite wouldn’t you rather try that out of the way restaurant? You now have permission to try to things and actually enjoy it! Tip: Take your savings one step further. Use grocery shopping apps to earn points that you can in turn use to purchase free gift cards for dinners out. Winner! Step #9 Pay with cash. I’m not going to lie; this step can be pretty scary. The good news is it doesn’t have to be. By shopping with cash and cash only you will definitely stay on budget. Use your cell phone calculator to keep track of items you buy as you place them in your cart. This will make sure you know exactly what you are spending. Tip: Not sure if you have enough money for an impulse buy? Put it up front in the seat of the shopping cart. That way if the cashier gives you a total that is over your budget you can quickly take that item off your tally and get the cost back down to where it needs to be. If you stay under budget, good for you! Carry that money over to your next shopping trip or place it in a slush fund. I like to have a slush fund ready for any surprise sales and deals on items our family uses regularly. Taking advantage of unadvertised deals can put you ahead of the game. More often than not the main reason families do not use a grocery budget is because they do not want to be tied down. But this is simply not true. A budget is just a new set of habits all designed to save you money. And saving money is ALWAYS a good thing! Thank you so much for allowing me to visit your amazing blog! I love you my dear friend and all your amazing posts here at Simple Living Mommy. I wish you all the best and I look forward to working again! Great suggestions. I do use coupons but have purchased items that I would not have otherwise. I am constantly reminded of that when I look in the freezer at the Italian ice I picked up in the summer. Thankfully they were free (doubled coupons combine with our local ShopRite’s digitals make some items free) I have learned to ask myself if I am buying it only for the coupon or is it something we would use.